The Best Pasta Sauces: Micol’s New Cookbook! 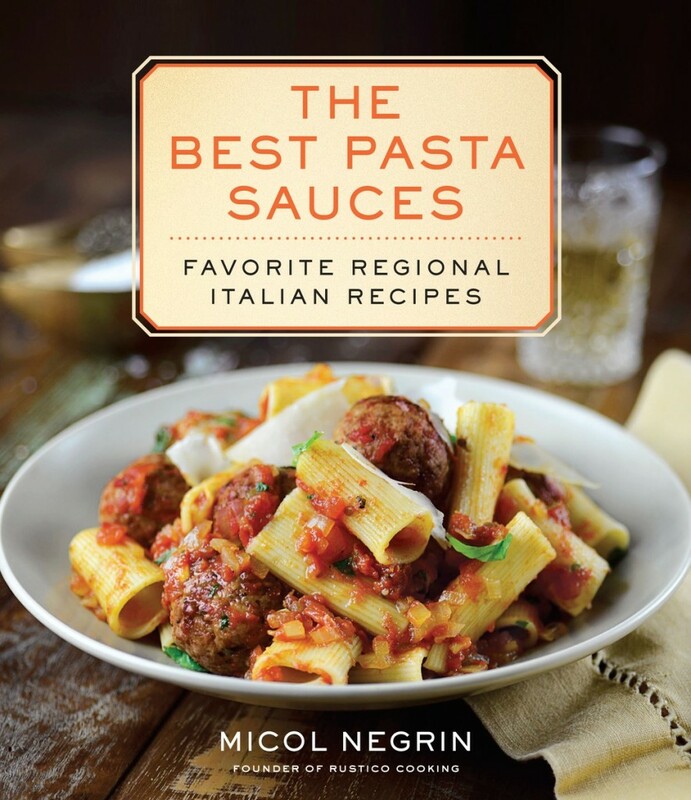 I’m very excited to announce that Ballantine Books (a division of Random House) just released my third cookbook, THE BEST PASTA SAUCES: Favorite Regional Italian Recipes. I had a lot of fun researching and writing this book, and the process allowed me to discover some incredibly delicious specialties from every region of Italy. There is mouth-watering color photography throughout; the book is a feast for the eyes as well as the stomach! 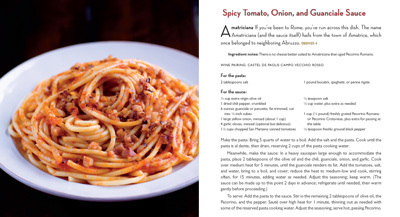 It was hard to decide which recipes to include; there are so many pasta treasures across Italy!! But in the end, I narrowed the selection down to the 80 recipes I felt best represented the diverse sauces of Italy’s regions. 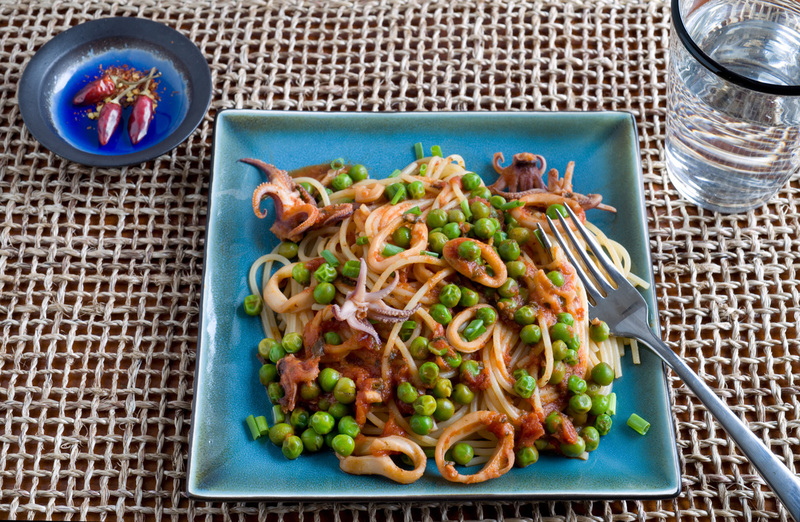 Some are classics, of course, like pesto, amatriciana, puttanesca, and ragu, but others are little-known outside Italy. In fact, there were some recipes that were eye-opening even for me (and I’ve eaten and cooked a lot of pasta over the years!! ), like the Crushed Potato Sauce with Cracked Black Pepper and Olive Oil from the Marches (I never thought about boiling potatoes to create a clean vegetal puree with which to sauce pasta! ), the Oven-Roasted Tomato Sauce with Bread Crumbs from Apulia (I usually simmered tomato sauces on the stove for my pasta, never roasted them), and the Parmigiano Sauce with Fresh Nutmeg from Piedmont (what a difference the nutmeg makes!). 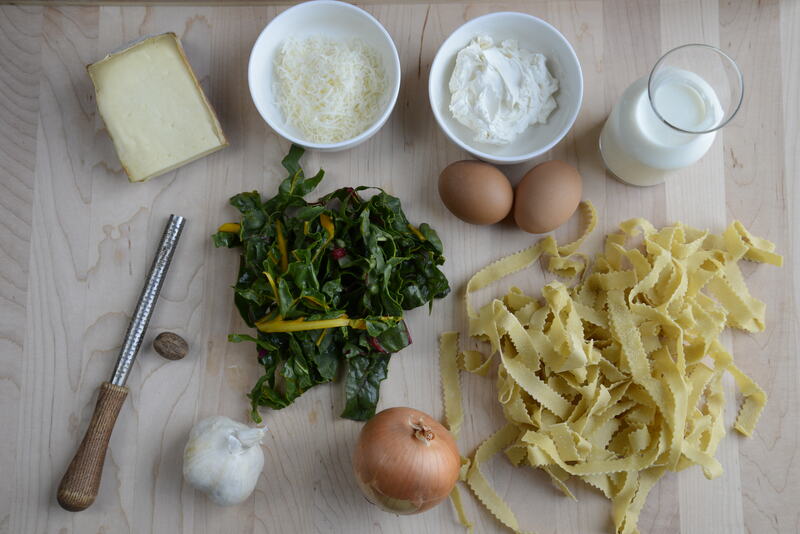 Not only did I love testing the recipes—who wouldn’t love eating a different delicious pasta every day?—I also really enjoyed working on the photography with my husband Dino; we styled the food together, and Dino took amazing photographs that make my mouth water every time I look at them (and I’ve looked at them a lot!). The book also includes tips for cooking pasta perfectly and for saucing it with success every time; there are 5 basic recipes indispensable to any home cook; sidebars sprinkled throughout about our travels in Italy, essential Italian ingredients, and more; and wine pairings by RUSTICO COOKING’s Wine Director, Costas Mouzouras. Hopefully the book will inspire you to try new sauces and to experiment with different ingredients and flavors… I look forward to hearing which recipes you try! Garganelli are hardly well known outside Italy, but they deserve to be! This ridged, tubular pasta is likely the ancestor of penne, made by winding 1 and 1/2 inch squares of fresh pasta around a small wooden dowel onto a ridged board. Garganelli are typical of Romagna, in northern Italy, and the dough is often made with egg, soft wheat (as opposed to semolina or durum wheat) flour, a hint of nutmeg, and grated Parmigiano; some cooks even color and flavor their garganelli with spinach puree. The most common way to sauce garganelli is a beef and pork ragu, a slow-simmered sausage sauce, or a simple sauce of Prosciutto, peas, and cream. I love garganelli with any chunky, meaty sauce, or even with a hearty vegetable sauce featuring seasonal vegetables. Garganelli derive their name to the dialect word garganel (the oesophagus of chicken, which they are said to resemble in shape). 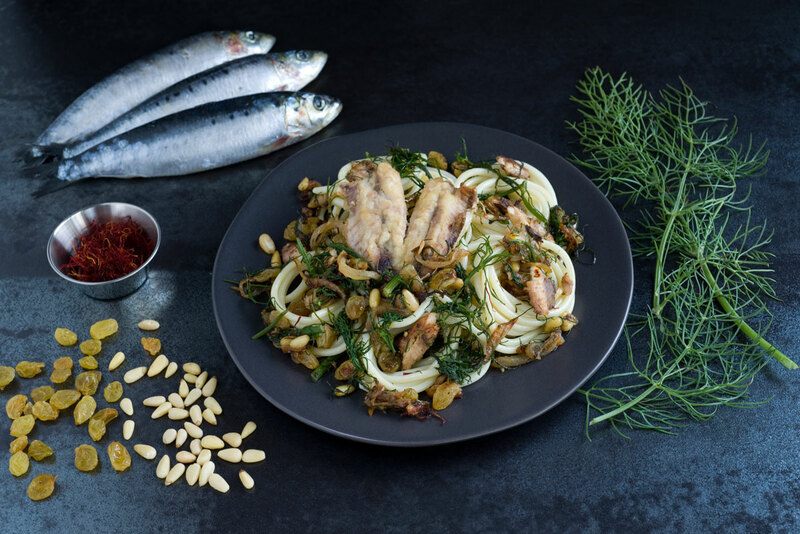 In the small town of Codrignano, there is a yearly Sagra del Garganello (Feast of Garganelli) in early September, a way for local cooks to celebrate their most emblematic pasta. If you would like to try making garganelli at home, it really isn’t that difficult, and all you need is patience, a pencil, and a fine- tooth comb. 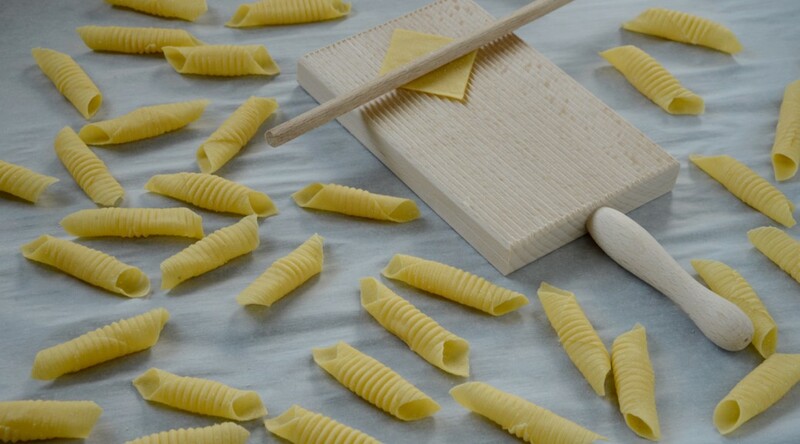 For better results, though, I suggest you buy a garganelli board from www.fantes.com to make this pasta, as it is much easier to get pronounced lines and a consistent shape with a proper garganelli board. You can make the garganelli up to a day ahead and refrigerate them, or you can freeze them if you wish; if frozen, do not defrost before dropping into boiling water. Make the garganelli: Mix the flour, salt, nutmeg, and Parmigiano on a counter. Make a well in the center and add the eggs; work the flour mixture into the eggs, adding a touch of water if it is too dry or a touch of flour if it is too moist. Knead for 8 minutes, or until perfectly smooth. Wrap in plastic; let rest 30 minutes. Cut the dough into 4 pieces. Wrap 3 pieces in plastic and roll one piece out onto a floured counter into a 1/12”-thick sheet (or use a pasta machine to do this). Cut the sheet into 1 and 1/2” squares. Place one square on a garganelli board, arranged like a diamond rather than a square, near the top of the board. Place the small wooden dowel perpendicular to the garganelli board near the top of the pasta diamond. 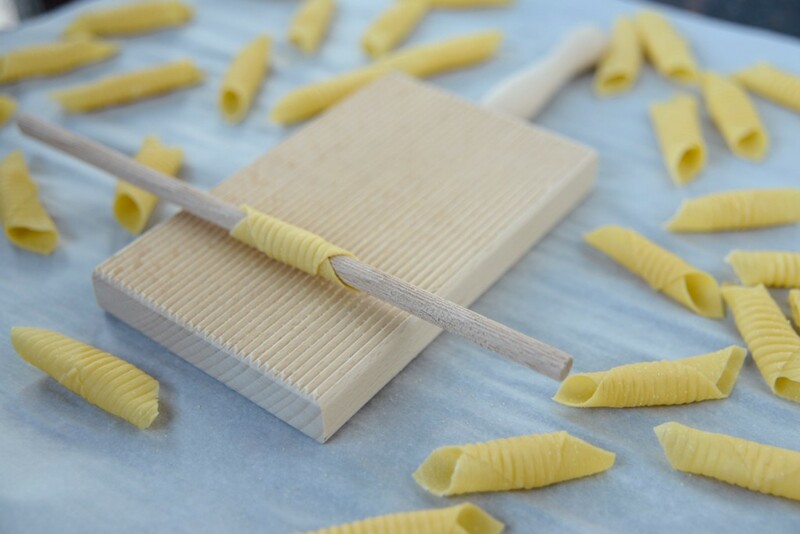 Using your index, lift the top edge of the pasta diamond down over the wooden dowel, and then roll the wooden dowel along the board to seal the pasta around the dowel. Do not apply too much pressure or the pasta will not release from the dowel. Gently push the pasta off the dowel. Repeat with the remaining dough. 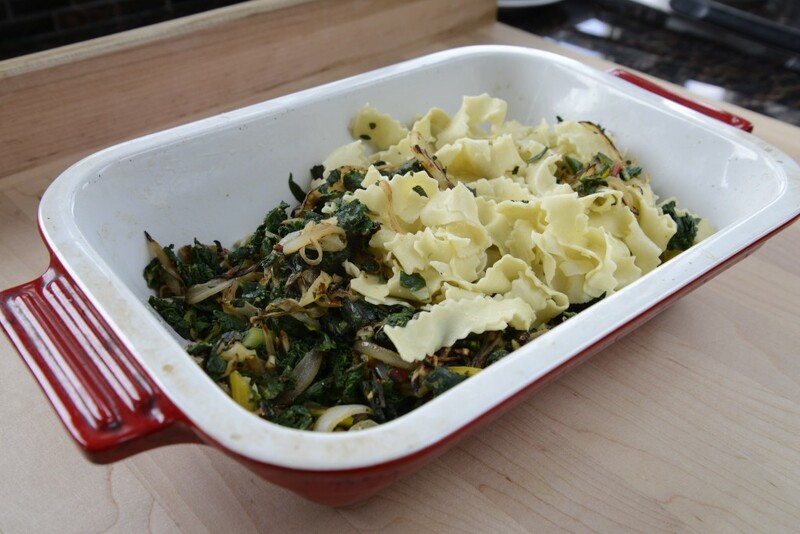 Spread the garganelli out on a floured baking sheet and cover with a towel until needed. The garganelli can be shaped up to 1 day ahead and refrigerated, but they will dry out and lose their silky texture. The ragù can be made up to 2 days ahead and reheated as you boil the garganelli. See our recipe for Red Wine and Two-Meat Ragu, which pairs beautifully with handmade garganelli. 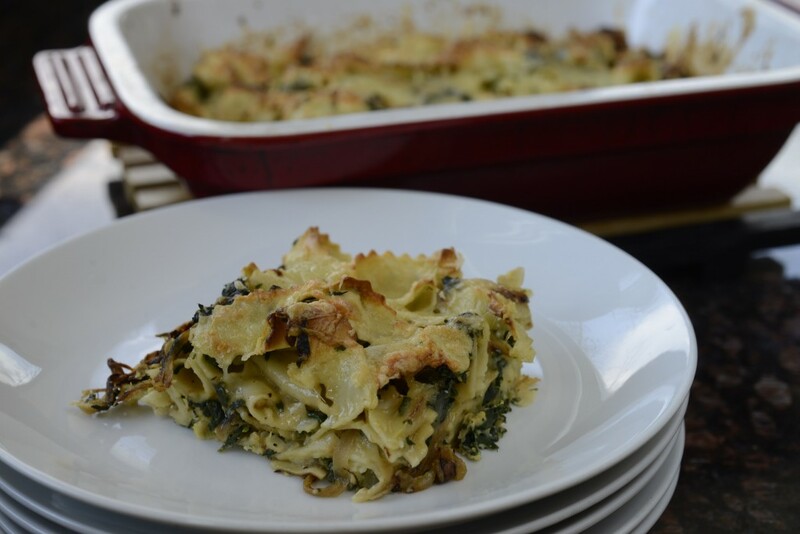 Unlike most stuffed cabbage dishes, these bundles are not at all heavy or rich; they are quite light, thanks to the addition of fresh Ricotta to the stuffing. 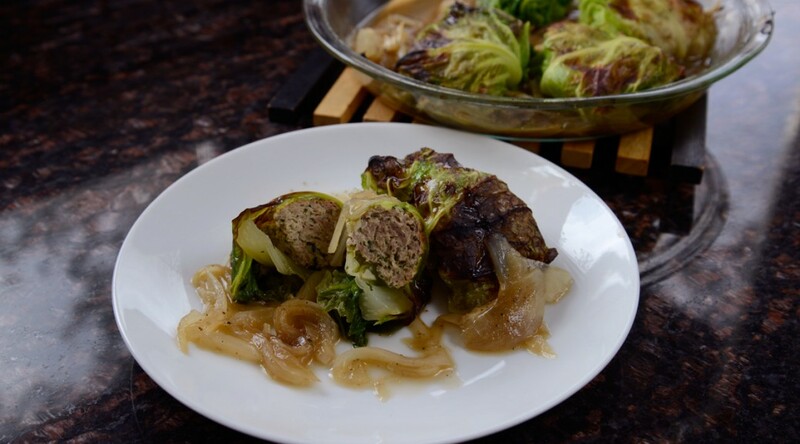 I’ve never been a big fan of stuffed cabbage in tomato sauce, so I cook these bundles with a splash of homemade chicken or beef broth and plenty of sliced onions for sweetness. Roasting the bundles covered for the majority of the cooking time keeps them nice and moist; uncovering them and raising the oven temperature in the last few minutes gives them a glorious browned top and crunchy exterior that contrasts nicely with the tender inner layers. Serve 3 bundles per person as a main course, or just one per person as a palate-teaser at the start of a meal. The bundles can be assembled a day before roasting; pour on the broth just before slipping them into the oven. Preheat the oven to 375 degrees (preferably set on convection). 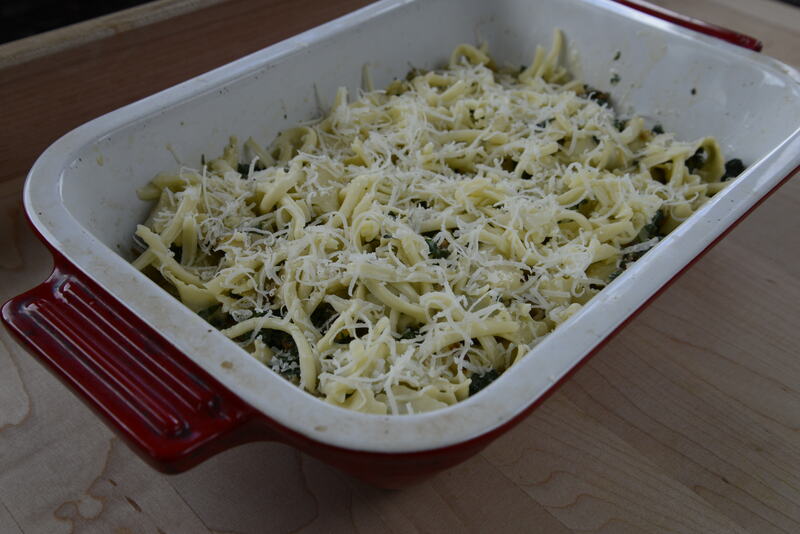 Brush a 9-inch round pyrex baking dish with the olive oil. Place the onion in the dish. Season with ¼ teaspoon of the salt and 1/8 teaspoon of the pepper; toss well and set aside. Bring 2 quarts of water to a boil. 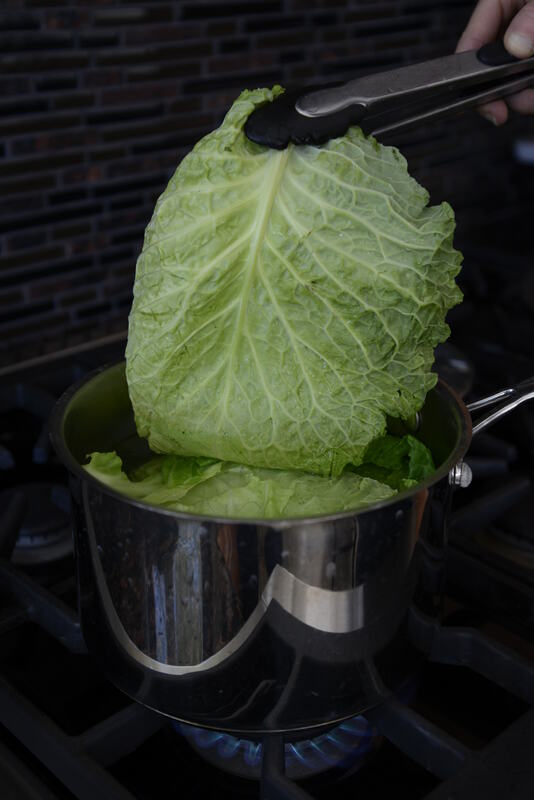 Add the cabbage leaves; cook 3 minutes, or until the cabbage leaves are tender and pliable. Rinse under cool water and drain well, then gently blot dry. In a bowl, stir together the Ricotta, pork, Pecorino, garlic, parsley, fennel seeds, chili, ¼ teaspoon of the salt, and the remaining 1/8 teaspoon of pepper. 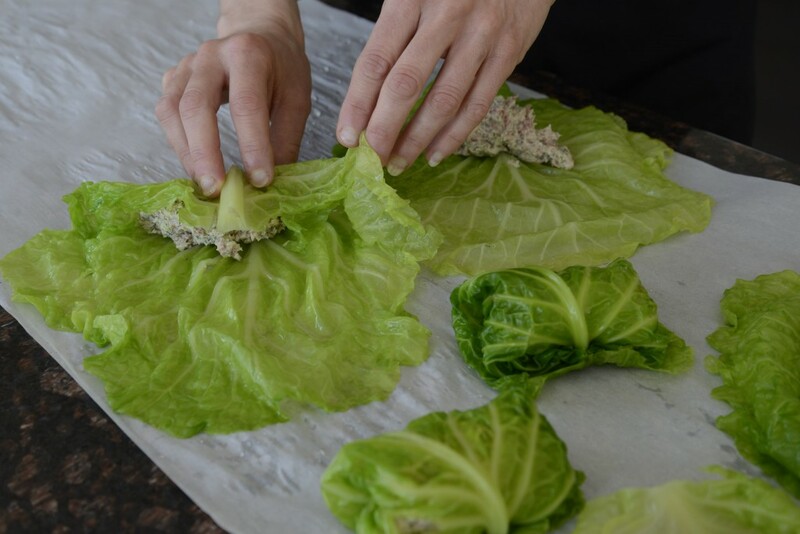 Arrange the cabbage leaves in a single layer on a large sheet of parchment paper on the counter. 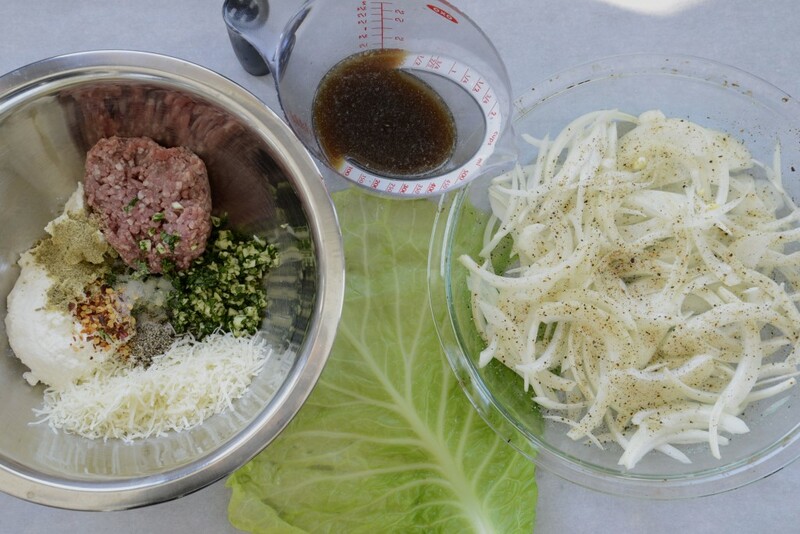 Place one-sixth of the pork mixture on the lower part of each cabbage leaf. Wrap each leaf around the filling, first bringing up the bottom, then folding over each of the two sides. Roll each into a neat bundle. Place seam side down in the dish on top of the onions. 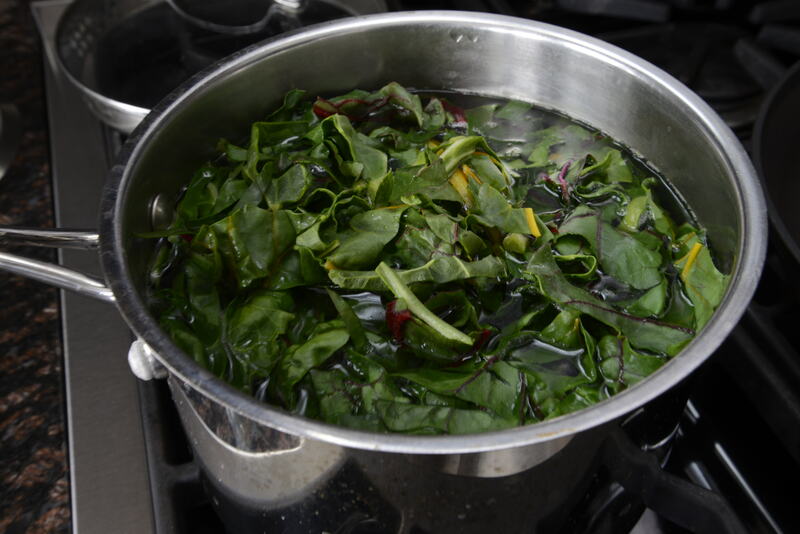 Pour in the broth and season the top with the remaining ¼ teaspoon of salt. Cover with aluminum foil or parchment paper and roast in the preheated oven 30 minutes. Uncover, raise the oven temperature to 425 (preferably set on convection), and roast until golden brown and crisped on top, about 5 more minutes. 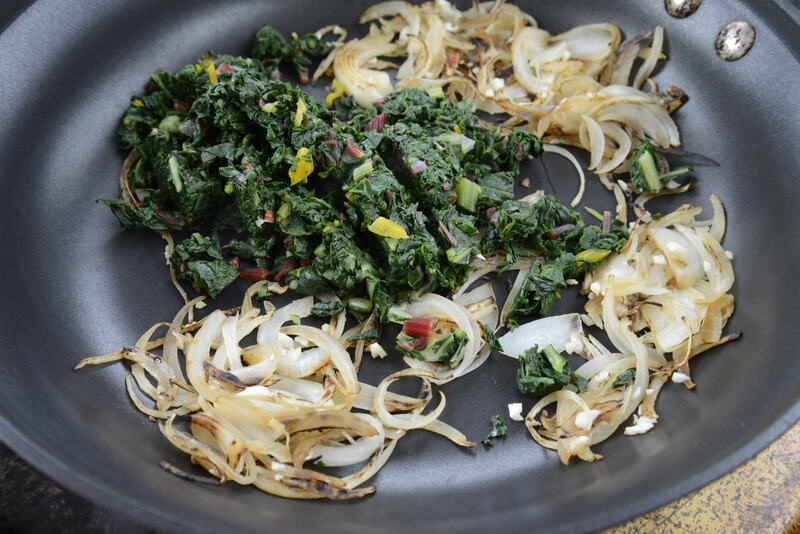 Serve hot, spooning the pan juices and onions over the cabbage bundles. 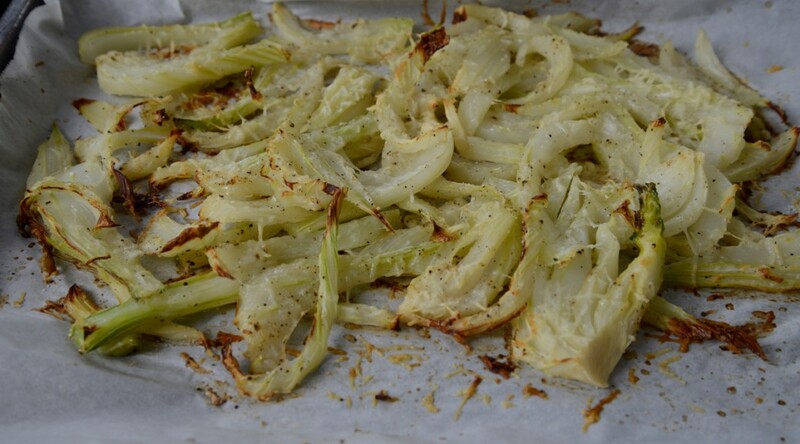 I grew up eating my mom’s roasted fennel and loving it; but when I tried to make it on my own, after I moved out of my parents’ home, I just couldn’t get it to taste anywhere near as good as my mom’s. 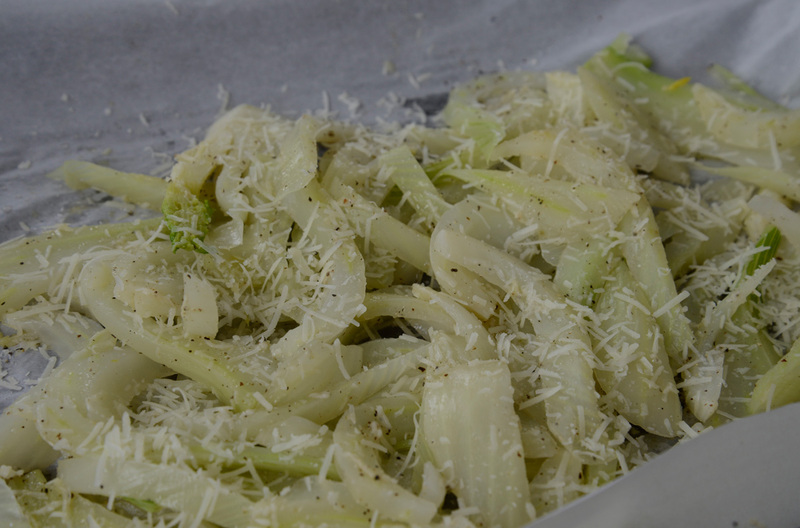 The trick: boiling the fennel before roasting it. 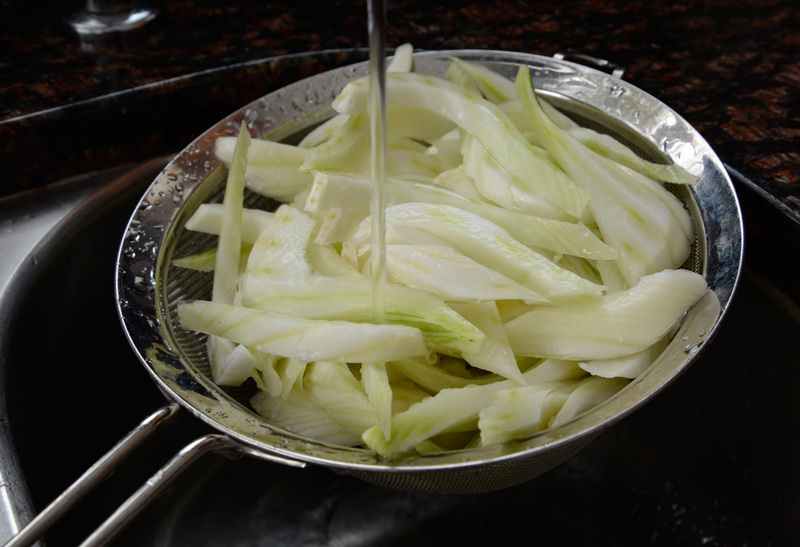 If you skip the boiling step, the fennel will come out stringy and fibrous rather than sweet and caramelized. I always make more than I need of this just so I can enjoy leftovers; you can chop up any extra fennel and warm it again as a sauce for pasta, or throw it on slices of focaccia topped with Mozzarella or Fontina and bake until the bread is crispy; or stir into beaten eggs with a splash of cream for a heavenly frittata. Preheat the oven to 325°F (preferably set on convection ). 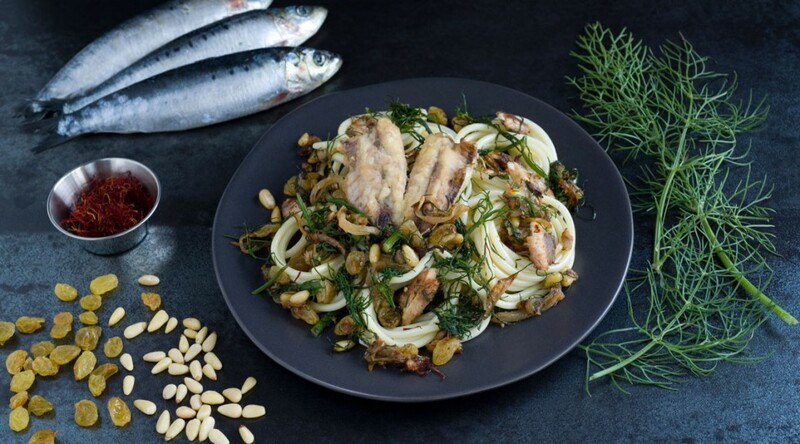 Rinse the fennel bulbs and cut the tops off each; reserve the feathery fronds to garnish salads or soups, and the stalks for stocks or as a base for roasting fish or lamb. Cut off about 1/4 inch at the bottom of each bulb. 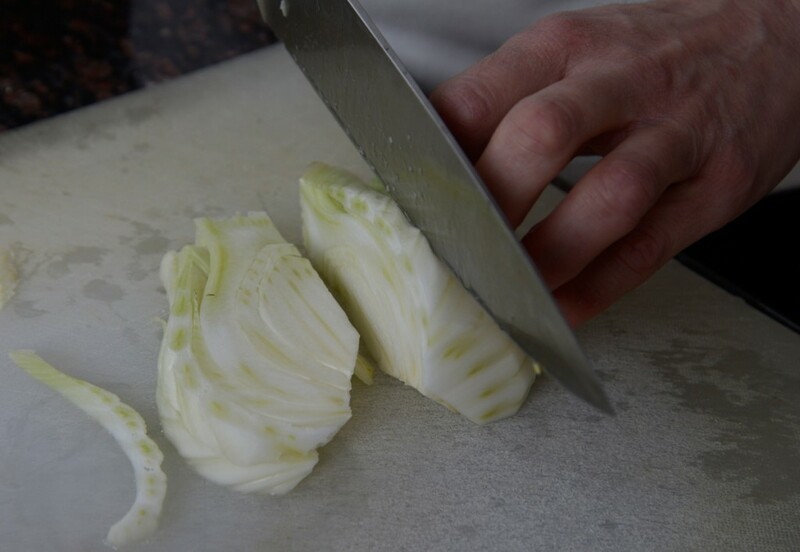 Quarter each fennel and cut out the fibrous triangular core from each quarter. Slice each quarter thickly. 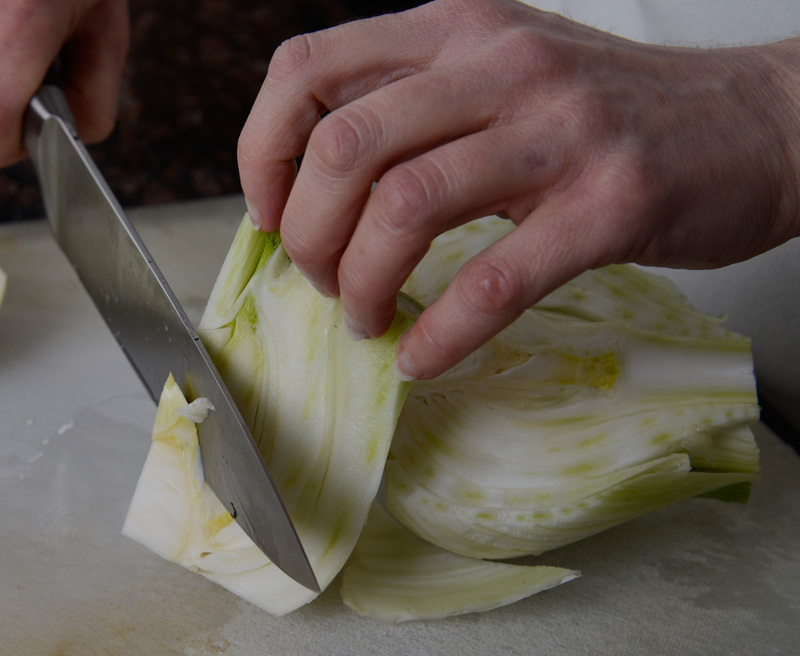 Rinse the sliced fennel under running water to eliminate any remaining grit from between the layers. Bring 2 quarts of water to a boil. Drop in the fennel and add 1 tablespoon of the salt; cover and cook over medium heat for 5 minutes, or until soft and translucent. Drain, rinse under cool water, and drain again. Place on 2 large baking sheets lined with parchment paper. 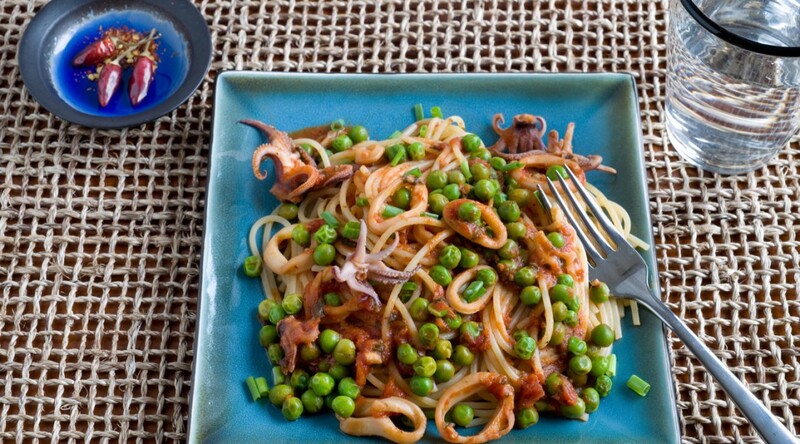 Drizzle with the olive oil, and season with the remaining teaspoon of salt and the pepper. Toss with 2 tablespoons of the Parmigiano and then spread out on the baking sheets so the fennel is in a single layer if possible. Sprinkle the top with the remaining 2 tablespoons of Parmigiano. Roast in the preheated oven for 45 minutes, or until golden brown on top and lightly crisp around the edges, stirring once in a while to promote even browning. Adjust the seasoning if needed. Serve hot. 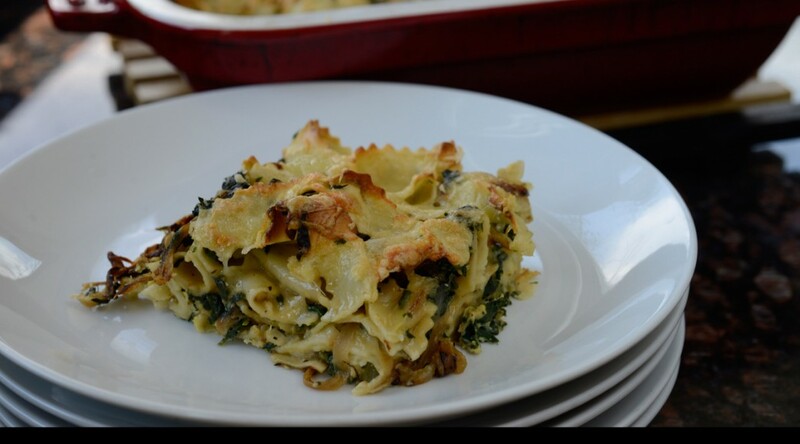 We are launching our Rustico Cooking Blog in Spring 2014! Full of new recipes, gorgeous photography, step-by-step techniques, and more, our blog will be updated regularly, so visit us often and leave comments!